Purchasing a home in is the single largest expense most people ever make. 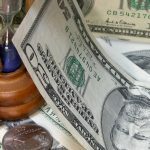 The small investment in having a professional home inspection performed in most cases, identifies items that are in need of repair that can be negotiated to have the seller either repair the items at the sellers cost, or have the seller discount the house the estimated cost for repairs so the buyer can make the repairs without having to come out of pocket to do so. 1st Insight Inspections is a service-oriented inspection company, which serves both home buyers and home sellers. We conduct property inspections which include, a roof inspection, termite inspection, appliance recall checks and more. 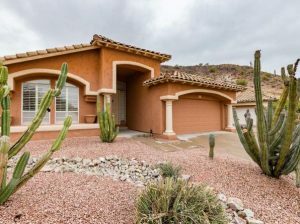 1st Insight conducts inspections in the outer East Valley which includes Ahwatukee, Maricopa, Ocotillo, Sun Lakes. Contact Us to make an appointment, or email us at 1st.insight@gmail.com. You have finally come to that point in your life when it is time to purchase a new home. Regardless of how beautiful the home, not matter what the real estate agent says, always have a home inspection carried out on the property before signing the contract. You can arrange it with our home inspection service and the whole process will cost not more than a few hundred dollars. When you are willing to spend hundreds of thousands of dollars on a new home, you should not be looking for the cheapest inspection for the best thorough inspection. This is especially the case when the inspection could save you thousands by uncovering a hidden structural problem. The wall and floor coverings, doors, and other items are important, but do not compare to the property’s roof, mechanical, electrical and structural condition. These are where the major problems often lie and are also the most expensive areas to repair. This is why home inspectors focus their inspection on a home’s structure first. It should be noted that a home inspection is not a foolproof system of finding all a home’s flaws but it does do an excellent job. When performed by a competent, experienced inspector, it is a rare occasion indeed when anything escapes his notice. The inspection will begin in earnest with the inspector working his way around the property’s exterior working from the bottom up. This inspection takes into account the condition of the foundation, the walls, roof covering, even the gutters among other things. The grounds – such as walkways, and driveways will be analyzed next with a final, closer examination made to ensure nothing is missed before moving inside. The interior inspection begins with the plumbing – the bathroom, laundry, utility sink, and the kitchen. Then floors and ceiling are checked. The appliances are tested as well. The inspector will often go from room to room, always moving in the same direction, testing the receptacles, and opening and closing each of the windows. No room will be overlooked. 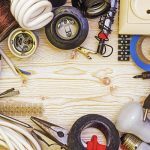 Other interior items to be checked include the air conditioning, heating, electrical lighting and receptacles, including the hot water heater – which is usually in the garage, or in a utility closet. Roof: Is there any sign of sagging or deterioration? 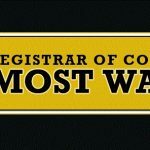 Chimney: Are there are bricks or mortar missing, does the damper operate? Foundations: Look out for various cracks or damage to the stem wall. Electro-Mechanical: How old are the systems? Are they operating as they should be? 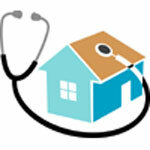 Home Buyers Inspection: Your home purchase will undoubtedly be one of the largest investments of your life. At first look the home may appear to be in great condition. However, there may be a number of unobserved defects, or safety hazards. Plus there might be major household items which are near the end of their life span, items such as the roof, water heater, air conditioner, or heater. Even though home sellers are required to disclose information about their house up front, in a disclosure form, their memory may fail, or most likely, they simply do not know about the deficiencies (issues) that might exist in their very own home. 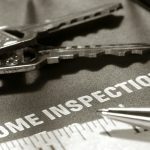 Home Sellers Inspection (Listing Inspection): One of the main reasons a home sale transaction can fall apart, is the inspection, or in the seller's case, lack of an inspection. A seller's report is not meant to replace buyer's inspections. It's purpose is to uncover defects in advance so that the buyer's inspections don't become deal-breakers. Eventually your buyers are going to conduct an inspection, so you may as well know what they are going to find out ahead of time. This way you can disclose these findings, or get repairs done. This inspection come with all the protection plans that are included with our standard home buyers inspection. Except, instead of a 90 Day Warranty, you receive a 120 Day Warranty. Home Sellers Observation Inspection: A listing observation includes only the most important and usually the most expensive to repair items of the home. This inspection is not as extensive as a standard home inspection, therefore it costs less. It covers exterior / structural, main electrical supply, roof, attic, heating / cooling, and windows. 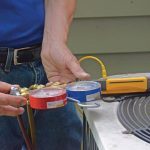 This inspection come with no added warranties, or protection plans. Home Warranty Inspection: You bought yourself a new home, but now your 1 year builders warranty is about to expire. The warranty was your life raft, let us inspect your home before your warranty expires. Why risk having to pay for repairs that could have been discovered with a thorough inspection? Let the builder pay to fix any found deficiencies. You certainly don't want to pay to repair or replace any items when you sell your house. Items that the buyers home inspection might discover. Brand New Constructed Home Inspection: Although a city and/or county inspector comes out and looks at a home to be sure it is built to code, they don't usually check for functionality. (which have had time to work the kinks out). Good builders will have no problems fixing deficiencies found by a home inspector. It is absolutely worth it to have a home inspection done on a brand new home. Home Maintenance Inspection: Why wait for plumbing leaks, or roof leaks to happen. Or why waste energy from an attic, or from an HVAC issue?Most homeowners really to not pay attention to the maintenance needs of their greatest investment - their home. 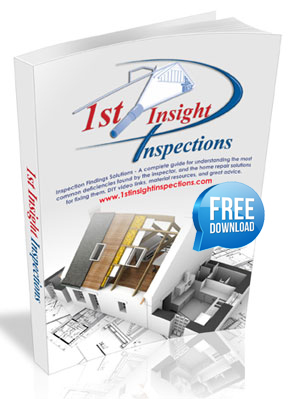 Let 1st Insight conduct an inspection on your home, you don't have to be selling or buying a home for an inspection. Look at this service as insurance for your home. A lack of proper maintenance, is what often leads to thousands of dollars in unexpected in expenses. 1st Insight Inspections utilizes a third party company which specializes in recalled products. Termite Inspection: Homes can be attacked by unseen termites and other wood-devouring insects including carpenter ants, bees, and wood beetles that often do catastrophic structural damage. So every home should be inspected by a qualified expert at least once per year. 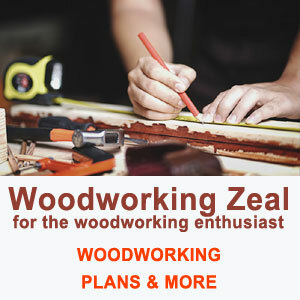 These wood destroying insect or termite inspection professionals can treat damage and also recommend safe and affordable ways to protect homes from future infestation. 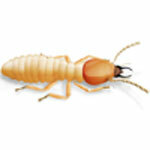 Let 1st Insight schedule your termite inspection for you, it is just $50.00 additional with a home inspection.